What's the Best Spanish Reading Material for Your Skill Level? We've Got You Covered. Choosing the right Spanish reading material can pose a real challenge. Some options are too hard, some are too easy. Looks like you’re in a bit of a Goldilocks situation here—you need some Spanish reading material that’s just right. What would happen if you chose a boring book or a very technical magazine to practice your Spanish reading skills? Not a very appealing hypothetical, is it? Indeed, you want to choose the right material to read according to your current level and learning objectives. Don’t know where to start? Don’t give up so fast! Whatever you read—be it a subway map, safety instructions aboard a plane, a children’s book or an ad billboard—reading in Spanish is una manera exelente (an excellent way) to drill language into your head. Utilize the tips and recommended resources in this article to ensure that you’re choosing the best Spanish reading material and that you’re squeezing the absolute most out of it. What’s the Best Spanish Reading Material for Your Skill Level? A beginning learner’s goal could be, for example, to get up to speed on the most common Spanish language structures in order to have a basic understanding of a simple text or speech. An intermediate learner’s goal could be to have a pleasant chat with a native Spanish-speaker without too many difficulties, or to have fun while reading an interesting Spanish blog post. An advanced learner’s goal might be to reach for fluency by aiming at more complex reading materials and diving deeper into this beautiful language’s complejidad (complexity). These goals are all very different—and that’s exactly why we’ve compiled in this article an extensive list of 28 excellent Spanish reading materials según (according to) your current level to help you get to the next level. In addition to the reading materials below, you can find more content selected for learners in the library you gain access to with MosaLingua's web app. As you read, you can check definitions of words and phrases with a translator tool, and make flashcards from new vocabulary to review later. The variety here ensures that there’s an interesting reading material option for any learner at any level. Enjoy! A Spanish student who’s just starting out with the language might find reading pretty intimidating. After all, when you start from scratch, you don’t necessarily understand the different mechanics of an idioma (language). This is why it’s vital for a beginner student to carefully choose the resources they’ll use to improve on their language skills. Choose something too easy, and you might get bored. Choose resources that are too complicated for you, and you might get discouraged. The newspapers presented in this first section for beginners will increase the difficulty a notch. They use daily news, so the vocabulary is slightly more elaborate (while still being within your reach). You’ll most likely pick up some interesting new words and intermediate level adjectives and verbs. Hey, that’s how you progress! The newspapers in this selection are made to be consumed quickly by commuters, so you aren’t likely to find literary vocabulary in them. 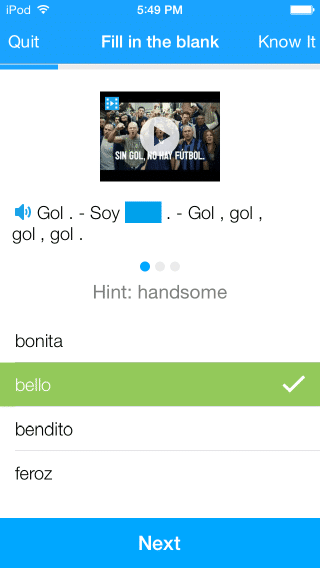 Rather, you’ll be able to practice reading in Spanish with short and relatively easy articles. Finally, the magazines for beginners that we present here are all different. From tongue-in-cheek to science vulgarización (vulgarization) and women’s magazines, they’re more suited for advanced beginners who already have a good grasp of basic Spanish language workings. However, they’re mostly written for entertainment purposes, and thus they would be a good way to slightly increase the difficulty while learning cool facts and having some fun along the way! It’s composed of 15 captivating and amusing stories written by different Spanish and Latin American authors with increasing difficulty. The first are written in the present tense, while the others are written in the imperfect, preterite, future and conditional tenses. It also features oral and written exercises and a very handy glossary so you don’t have to go back and forth between the book and a dictionary! 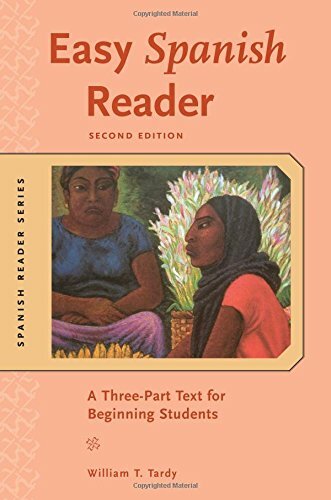 This reader creates a scenario in which you study alongside two high school girls in their Spanish club through colorful stories of Mexico—from los conquistadores (the conquistadors) to the Aztecs and Cortés’s encounters. Like the previous recommendation, this book features a word glossary and sorting exercises after each session to help you ingrain what you learned in the different chapters. 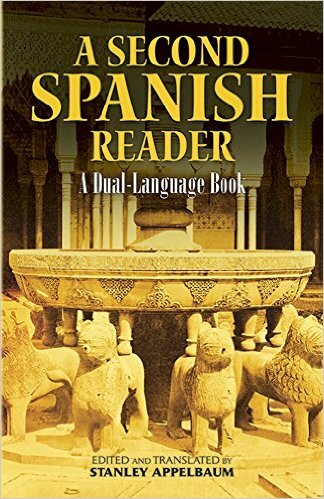 Note that this reader is perfect for refreshing your memory if it’s been a long time since you’ve practiced Spanish! This last beginner book in our selection tells you a story about love and friendship. Ana, a psychology student in la ciudad autónoma de Buenos Aires, Argentina (The city of Buenos Aires) falls in love with her teacher, prepares for exams and hangs out with friends. If you abhor difficult, long texts with English translations, you’ll absolutely enjoy this reader. It mostly features very simple sentences like Ana toma un café en el bar “Libido” (Ana has a cup of coffee in the bar called “Libido”) or Afuera hace mucho frío (it is very cold outside) or Ana lee un libro de Freud y toma el café caliente (Ana is reading a book by Freud and drinking hot coffee). The difficulty level is just right for beginners. 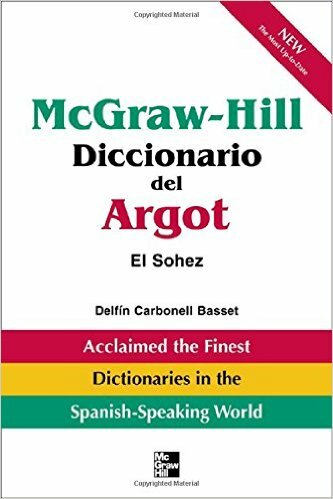 Note as well that this book will give you access to a free Spanish-English dictionary for you to download and install on your computer. This newspaper publishes free, high-quality information in Spain. It usually features national, international, economic, sports, technology and art news. It’s designed to be consumed rapidly (in 20 minutes or less), so it features articles that are light enough that you can get informed in relatively simple Spanish. 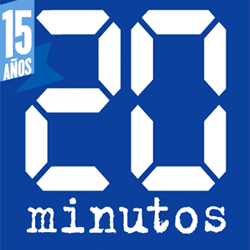 Similar to 20minutos, Metro is primarily intended for commuters who move daily in and out of big cities’ business areas, mainly during rush hours. Because of this, the articles are usually pretty short and go straight to the point, as they have to get their point across quickly. 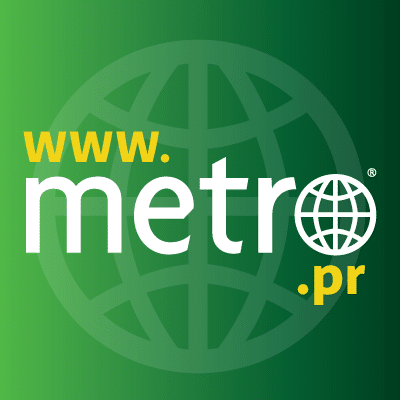 The Spanish version has been absent from Spain in the last couple of years as it focuses mainly on South American markets (primarily Chile, Ecuador and Peru), so if you’re particularly interested in these regions, Metro could be well suited for you. El Diario popular (the popular daily newspaper) is a local newspaper published in Sarandí, Argentina, and read widely in the surrounding southern Greater Buenos Aires suburbs of Avellaneda, Lanús and Quilmes. Sports, political life and local shows take up most of the space in this diario (newspaper). As the name implies, it targets popular social classes, and the vocabulary used is pretty straightforward. By the way, it’s the 3rd-largest Argentinean newspaper, and therefore you’ll be able to gain a fair grasp of the Argentinean way of life by reading it. 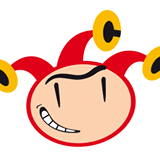 El Jueves (Thursday) is a Spanish satirical weekly magazine published in Barcelona. Note that its complete title is “El Jueves, la revista que sale los Miércoles” (“Thursday, the magazine that comes out on Wednesdays”). Muy Interesante (Very Interesting) is a monthly popular science magazine which deals with fun facts and current events, such as the development of nanotechnology, physics, biology, astronomy, genetics, neuroscience, new investigations, modern inventions and world affairs. This mag is read by lots of jovenes (young people) and therefore doesn’t feature really high-flying vocabulary that will be difficult for you to understand. If you’re into science-related subjects, this mag should really interest you and help you learn cool facts that you did not know before, while also allowing you to practice your Spanish. 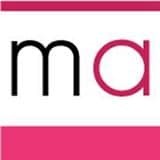 Mujer actual (Actual Woman) is a very popular women’s weekly magazine that features content on fashion, cooking, psychology, housing, well-being, relaxation and other society-related news. Let’s talk to the intermediate students now. The books in this selection will help you in their own ways. 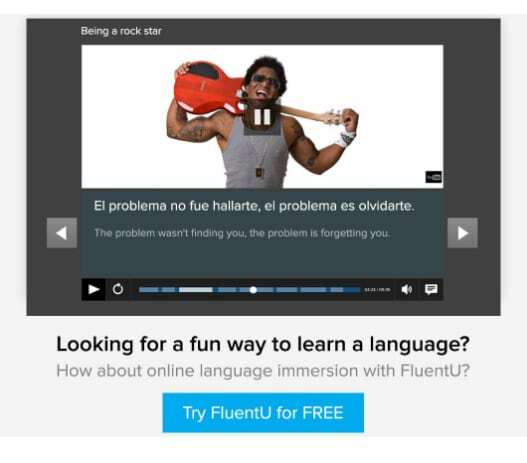 The first two feature articles and stories put together specifically for intermediate Spanish learners. They’ll introduce you with superior levels of vocabulary, grammar and phrase structures while helping you along the way with language and cultural notes and explanations of the most difficult words so you don’t get confused while you’re reading. The last book in the selection will do you a big favor: take the torture out of Spanish grammar. When you start encountering more complex Spanish content, you might get confused over Spanish grammatical structures. 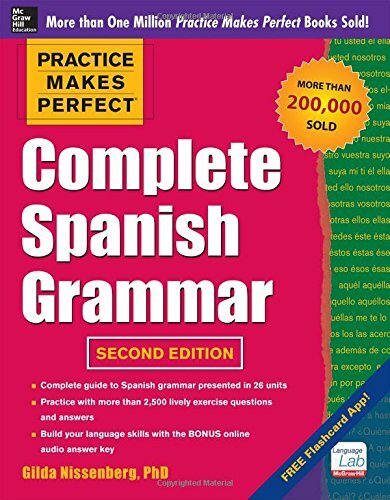 This last grammar book will therefore teach you practical Spanish as it’s spoken today and enable you to comprehend the most difficult areas of Spanish grammar. The newspapers for intermediate Spanish learners tackle a wide variety of subjects and thus will expose you to a large variety of the Spanish language’s complexity. News treatment is excellent for intermediates, as you will observe how newscasts work in Spanish-speaking countries and thus get real-life Spanish training in the form of international and national news. Lastly, the magazines chosen for intermediarios (intermediates) will help you vary and expand your Spanish skills. They involve much more “adult” themes and, as a result, get away from simple subject + verb + complement phrases that you’ve found so far in the different resources listed here. 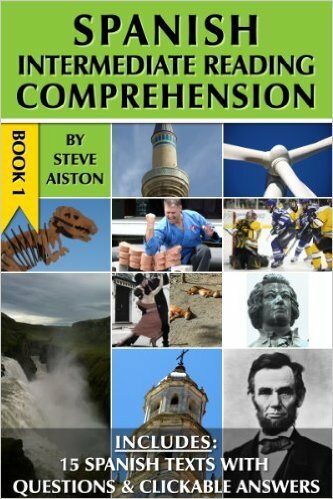 This book features 15 interesting articles in intermediate level Spanish on a variety of topics such as: history, religion, the natural world, science, travel, food and more. There’s also a section on key grammatical terms, as well as a list of 63 free websites to help you improve your Spanish! This reader offers the following eight classic masterpieces of Spanish literature: “El Cid,” “Los cuentos el condeLucanor,” “La Celestina,” “Lazarillo de Tormes,” “Don Quijote,” “Fuente ovejuna,” “La verdad sospechosa” and “El burlador de Sevilla.” They’ve all been abridged and adapted to suit intermediate level students’ needs, and they feature ample cultural notes and translations of difficult words alongside the texts. This is a very good tool for getting in reading practice and gaining some knowledge of some Spanish literary masterpieces at the same time. You can be absolutely sure that an intermediate learner will enjoy reading those tales and plays, as they’ve been modernized and edited. This edition of the famous “Practice Makes Perfect” series is a 350-page workbook covering the most important grammar rules for you to understand in order to communicate better in Spanish. 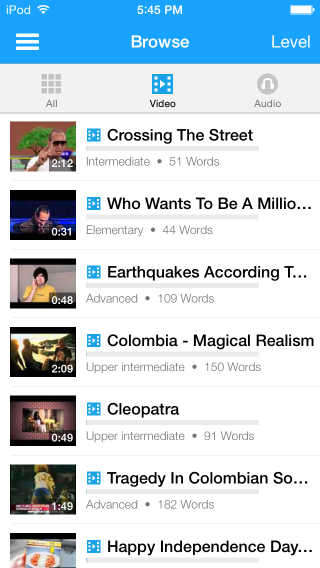 An intermediate level student will definitely be able to take good advantage of the plethora of realistic examples, free online audio recordings and hands-on exercises (multiple-choice questions, fill-in-the-blank and creative writing exercises) to improve and reach a higher level of Spanish proficiency. 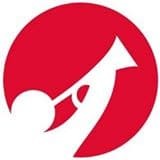 El Clarín (The Bugle) is the largest newspaper in Argentina, and the electronic version of the paper is one of the most visited Spanish language newspapers on the Internet. 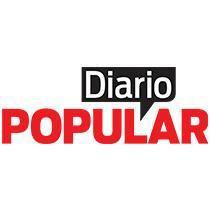 This diario (newspaper) will allow you to get insightful information about Argentinean daily life. For example, you’ll know that there has been an ongoing conflict between the government of Fernández de Kirchner and El Clarín since 2008 over a number of issues, which makes it even more interesting to read, as El Clarín is considered as a true opposition newspaper in Buenos Aires. El País (The Country) is the highest-circulation daily newspaper in Spain and one of three Madrid dailies considered to be national newspapers of record for Spain (along with El Mundo and ABC). This newspaper is characterized by the large amount of space it gives to international news, culture and information regarding the economy, as well as Spanish news. It also features specific columnists and contributors contributing to the democratic and pro-European editorial line of the newspaper. 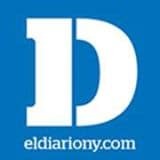 El Diario la Prensa is the largest and oldest Spanish-language daily newspaper in New York City and the oldest Spanish-language daily in the United States. If you live in NYC, you might have heard of this newspaper. 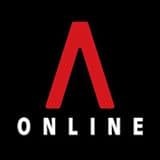 It covers local, national and international news, as well as human interest stories, politics, business, technology, health, entertainment and sports. Note that El Diario la Prensa focuses mainly on Latin America. The articles are pretty diverse, and you’ll probably find some subjects that you’ve already read about in other local newspapers—only they’ll all be written in Spanish. This is going to be handy for your learning, as you’ll get a chance to link up several articles discussing the same subject but written by two different journalists in two different languages. 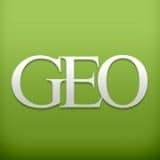 Geomundo is an educational monthly magazine similar to the National Geographic magazine. It’s known for its detailed reports and pictures. It covers a wide variety of scientific and cultural themes ranging from technology to astrophysics, psychology, biomedical sciences, history, travel and adventure. 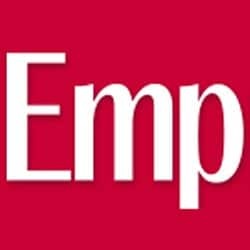 Emprendedores (Entrepreneurs) is a monthly magazine featuring information about company creation, management, marketing, business opportunities and events for entrepreneurs, among other things. It features excellent operative vocabulary for the corporate world. If you’re likely to work in a corporate Spanish environment, reading this magazine regularly will absolutely help you to pick up some good skills and language to express yourself in this medio ambiente (environment). 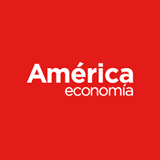 América Economía is the first Latin American business magazine, founded in 1986 in Santiago de Chile, Chile. It analyzes the business, economics and finance in Latin America and displays an extensive coverage of the development of international business from the South American perspective. And here we are at the advanced Spanish student level. The real goal here is to read your way to actual Spanish proficiency. This is why you’ll find two excellent advanced Spanish readers for you to consolidate your skills through Spanish literature excerpts. Those texts will most likely be a challenge for you, as they’ll require you to really understand very sophisticated Spanish content that even Spanish natives study for their own good. Thankfully, you’ll be helped throughout your reading with different notes and English translations of the most difficult words. 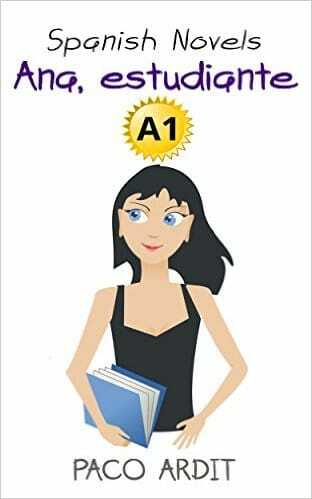 The two other books will get you to flavor your speaking and writing abilities with typical Spanish idioms and expressions and take a step further in your mastery of this language. The newspapers selected for advanced students feature very researched and deep articles about national and international issues. Thanks to the broad range of subjects discussed, you’ll most likely find content you’re interested in. These newspapers will teach you, through engaging readings, the most elegant version of the Spanish language used by the most brilliant journalists of Spain and Latin America. Lastly, the magazines for this advanced student section mostly talk about high-end lifestyle and finance-related material. They target mid- to high-net-worth individuals and therefore are written using simple yet sophisticated phrase structures, and refined vocabulary choices. This is where you’ll come to understand the most intricate use of Spanish, which these magazines constantly employ. 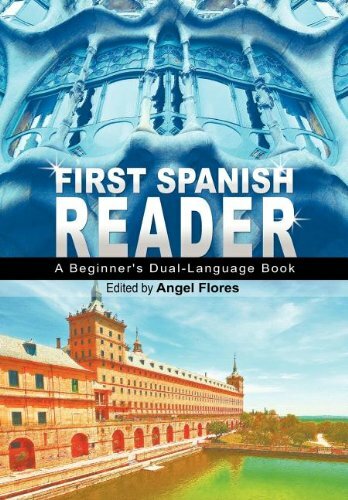 This advanced dual-language Spanish reader features plays, lyrics, narrative verses and prose coming from 50 excerpts from Spanish literature. Advanced students should find a great challenge in the reading of this book, as it’s comparable to reading a Shakespeare book in Spanish. Luckily, the reader provides a sturdy helping hand. You’ll find humorous and figurative expressions, slang, proverbs and many other types of expressions. I even found several vulgar ones. It’s bound to please all the Spanish language nerds out there. 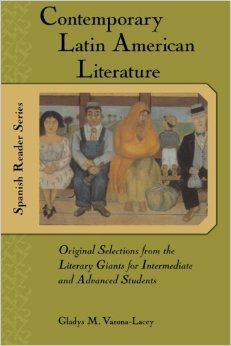 This book offers about 100 works from Jorge Luis Borges, Mario Vargas Llosa and Noble Prize winners Gabriela Mistral, Pablo Neruda, Octavio Paz and Gabriel Garcia Márquez, along with an introduction of the authors, pre-reading notes, footnotes of difficult words with English translations and post-reading questions. 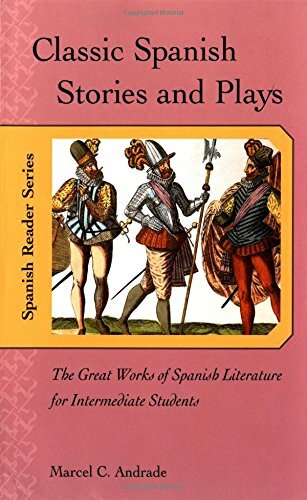 Note that the texts are all unabridged and in their original length and form (unlike “Classic Spanish Stories and Plays: The Great Works of Spanish Literature for Intermediate Students,” which has been adapted to suit lower-level learners). 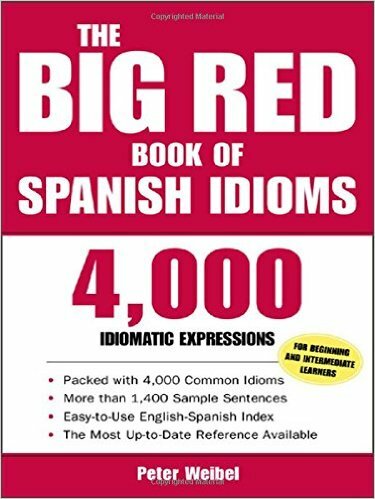 This monolingual Spanish dictionary provides you with one of the most authoritative references of Spanish slang, with more than 12,000 entries supported by 20,000 citations. This one is for very advanced students, since it’s written solely in Spanish. 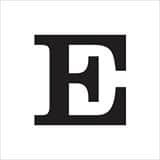 El Economista (The Economist) is a Mexican business and economics newspaper which publishes from Monday to Friday in five columns. There is an incredibly vast range of subjects treated like a digest of The New York Times, La Plaza (sports, showbiz and cultural section), a section on personal finance and Small Businesses, a column by an academic of respected business schools. You’ll also find numerous columns and sections on finance, economics, national politics and local politics, mutual funds, real estate, entrepreneurship, health, fashion, construction and transport. 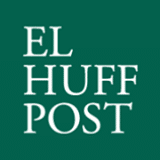 This the Spanish version of The Huffington Post, an infamous online news aggregator and blog which covers politics, business, entertainment, environment, technology, popular media, lifestyle, healthy living and local news, among other things. 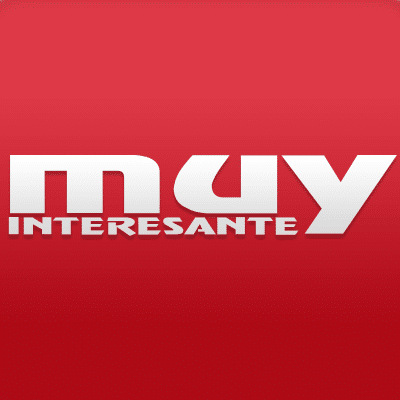 CNN Expansión is a Spanish-language online news portal targeted to the business markets in Mexico and Latin America. It features information about stocks, technology, personal finance, economy, career advice, etc. 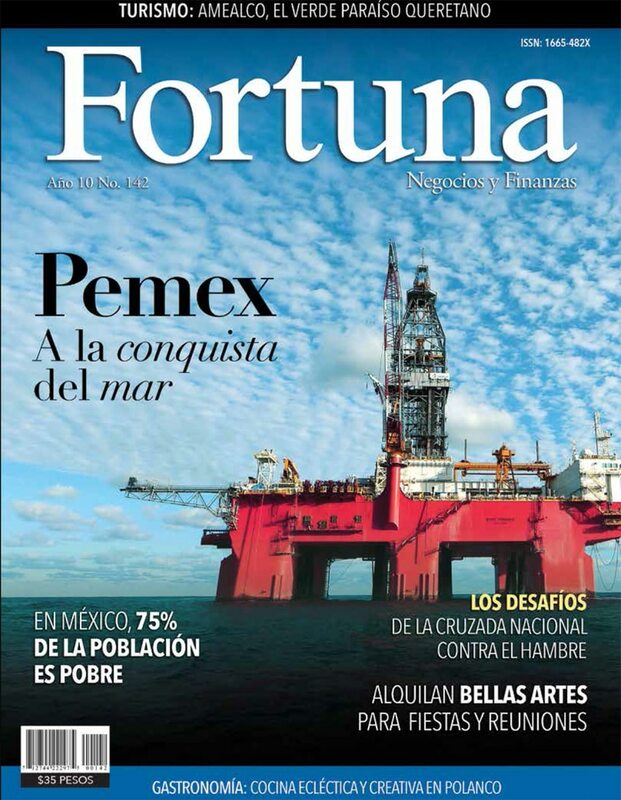 Fortuna is the Mexican version of the American business magazine Fortune, which competes with Forbes and Bloomberg Businessweek in the national business magazine category and distinguishes itself with long, in-depth feature articles. It’s most notably known for its ranking of companies by revenue that it has published annually since 1955. 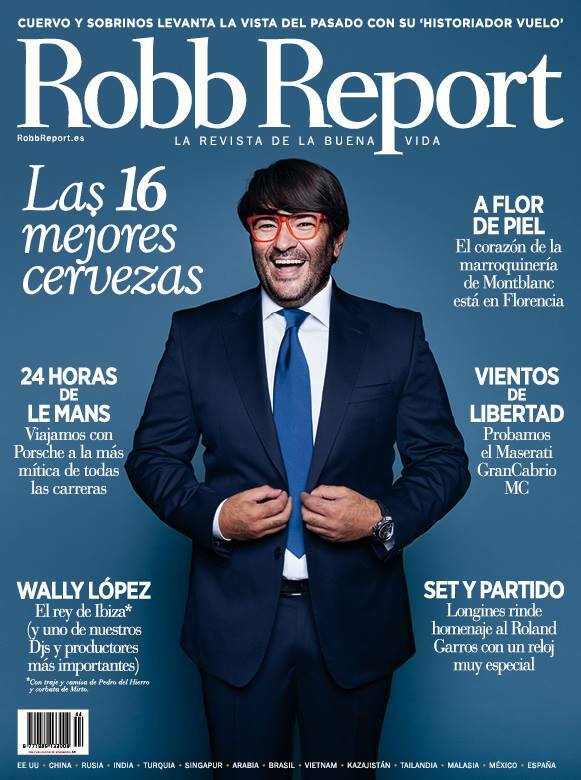 This is the Spanish version of a luxury lifestyle magazine, featuring products and topics like automobiles, real estate and watches, mainly for high-net-worth individuals. Lastly, Revista Capital is a bi-weekly publication from Chile that specializes in economics and entrepreneurship. And there you have it! You have a plethora of resources to take your Spanish skills to the next level, no matter what level you’re at right now. No matter what reading material you choose, make sure to commit to reading a little bit every day and elegir (to choose) something you can have some fun with! 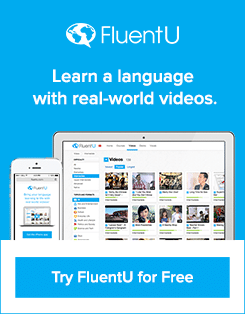 If you like learning Spanish by reading, then you’ll love FluentU. 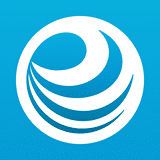 It represents the best of all types of learning resources: audio, video and text-based learning are all at your fingertips here. 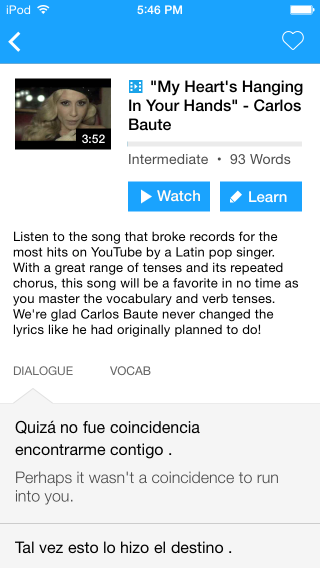 Plus, it’s a perfect resource for any Spanish learner who wants to sound like a native, as you’ll get closer than ever to authentic Spanish as it’s spoken by native speakers from all over the world. How?